Pelion Peninsula is considered as a small paradise with quite thick vegetation. It is a green emerald blended with the light color of the ocean quite smoothly. 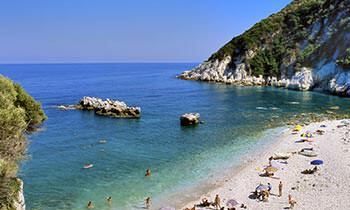 Pelion is regarded at any time of the year as an idyllic place for vacations which fascinates its guests. In a privilege part of Pelion, Mouresi village, Prasino Gazalio mansion is located. Having been on refurbishment lasted for 2 years and putting so much of effort and careness Prasino Galazio consists of 12 suite rooms. A worth mentioned point is that 2 of them are stone decorated. 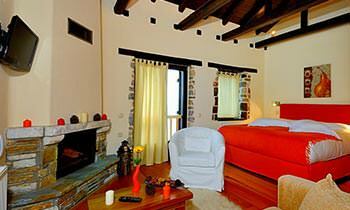 All rooms combine comfort, tradition and numerous facilities as well. Prasino Galazio hosts you in our luxurious rooms and we are quite certain that your staying in our beautifully stone built mansion will complete your either winter or summer holidays in Pelion in a wonderful way!